Wolves had just scored their third goal through Leander Dendoncker when a stray cat decided to take up residence in the visitors' six-yard box. Not a problem, I hear you say? 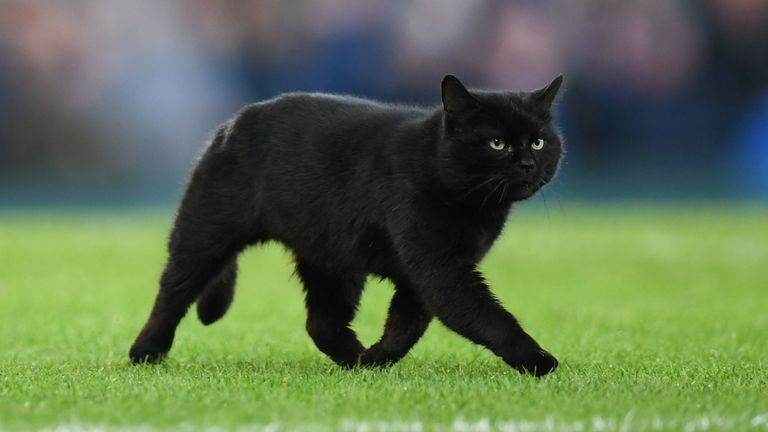 Well, it is if the ground staff cannot catch the animal, which is exactly what then happened as Everton officials tried in vain to get their hands on the frisky feline. Five minutes later and the cat was finally caught alongside cheers from the home fans of "Sign him up!" Incidentally, Sunderland scored what proved to be their winner against AFC Wimbledon in League One moments after the black cat's appearance! Watch the above video to see the incident! The cat covered 354.42 metres during its time on the pitch, hitting a top speed of 25.73 kilometres per hour.